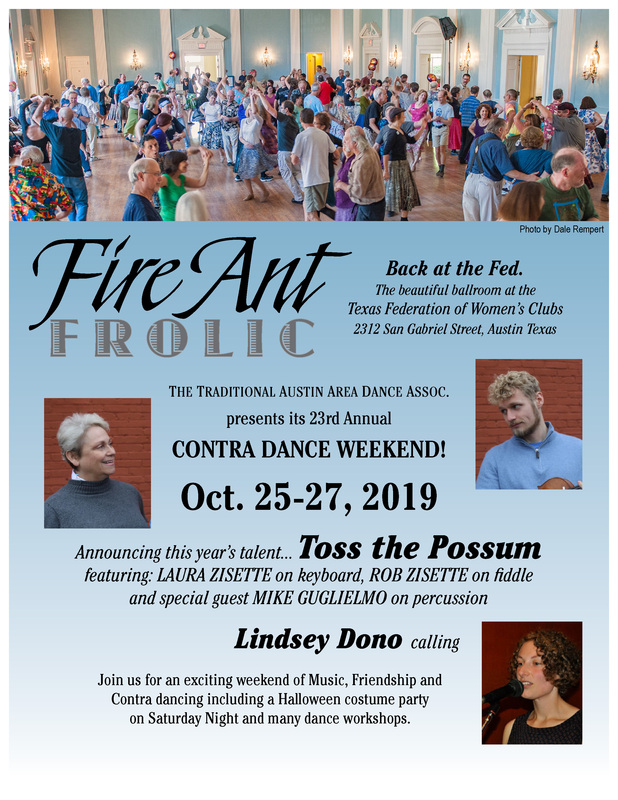 Take a walk down Memory Lane and check out these videos from the 2008 Fire Ant Frolic at the Fed. Energetic and lyrical, innovative and traditional, drive and slow groove, intensity and humor, Toss the Possum is an exuberant band offering a wide variety of sounds and styles. The core band is Rob Zisette, fiddle/percussion/vocals and Laura Zisette, keyboard. They often add other musician friends depending on the venue. Rob and Laura have been dancing since 1996. Rob teaches dance workshops (waltz, contra, blues, swing). Being long-time dancers themselves, the Possums’ whole intent is to play music that will lift, energize and enhance the dancers' experience! In fact, they live for that moment when the dancers and the band feel connected and magic happens.